Call 404-981-4384 to make an appointment for your SAP DOT Evaluation! Services are performed by a qualified Substance Abuse Professional. Are you an employee or employer that needs SAP services? 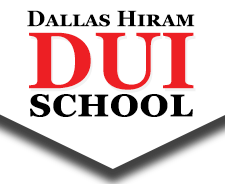 SAP evaluations are available by appointment at Dallas Hiram DUI School. When is an SAP Evaluation Usually Required? After a violation of DOT rules and regulations by commercial truck drivers or those employed by other organizations that operate under regulations for federal drug and alcohol testing. What organizations or industries can fall under DOT regulations for federal drug and alcohol testing? Organizations regulated by the Federal Motor Carrier Safety Administration (FCMSA), such as truck drivers operating Commercial Motor Vehicles with a gross vehicle weight rating of 26,001 pounds or more. Organizations and employees regulated by the Federal Railroad Administration (FRA), including locomotive engineers, trainmen, conductors, switchmen, locomotive hostlers/helpers, utility employees, signalmen, operators, and train dispatchers. Employees and crewman for aircraft with duties regulated by the Federal Aviation Administration (FAA), such as flight crewmember duties, flight attendant duties, flight instruction duties, aircraft dispatch duties, aircraft maintenance or preventive maintenance duties; ground security coordinator duties; aviation screening duties; and air traffic control duties. Employees who operate or maintain revenue vehicles under the Federal Transit Administration (FTA). Employees of Pipeline or Liquified Natural Gas (LNG) companies who perform operation, maintenance, or emergency-response functions regulated by the Pipeline and Hazardous Materials Safety Administration (PHMSA). Persons who work on board vessels regulated by the United States Coast Guard (USCG) who hold a license, certificate of registry or merchant mariner’s document. Please call 404-981-4384 to schedule your SAP DOT Evaluation today!